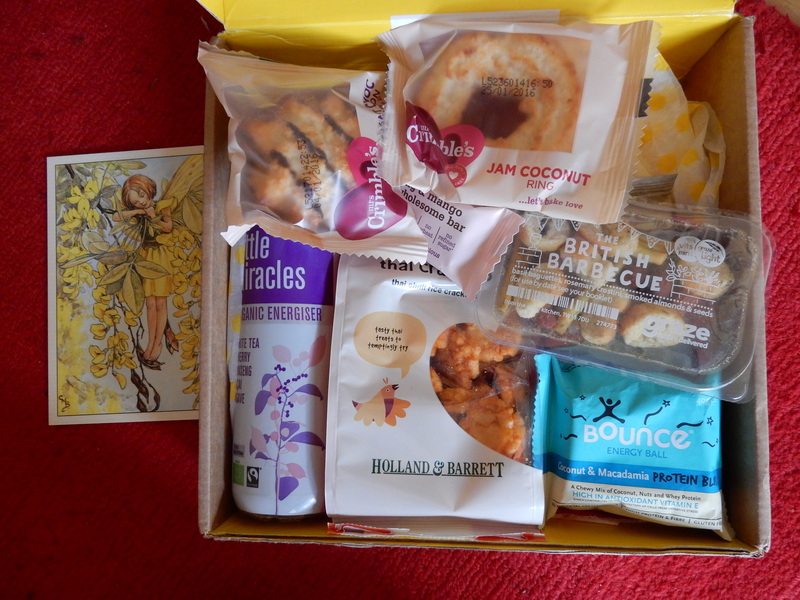 I can’t believe another round of Foodie Penpals has been and gone already! The next one is the final one for 2015, as Carol Anne is understandably taking a break for December (I’m sure people will have plenty of treats to enjoy then anyway!). My package actually arrived not long after I got back from my holiday, but in keeping with the rules I waited until closer to the end of the month to write my reveal post. 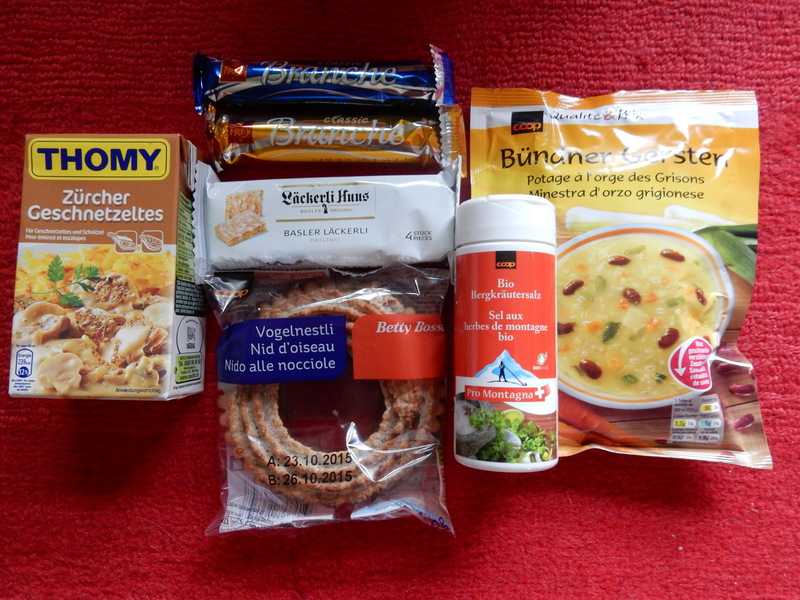 This time I got to send my package to Germany, which was a bit more of a challenge as I wanted to try and find products that aren’t in every single supermarket there (a lot of brands are the same). In return, I got a lovely package from England. Abbie told me it was her first time taking part, but if she hadn’t mentioned that I would never have known. The package she put together was amazing! 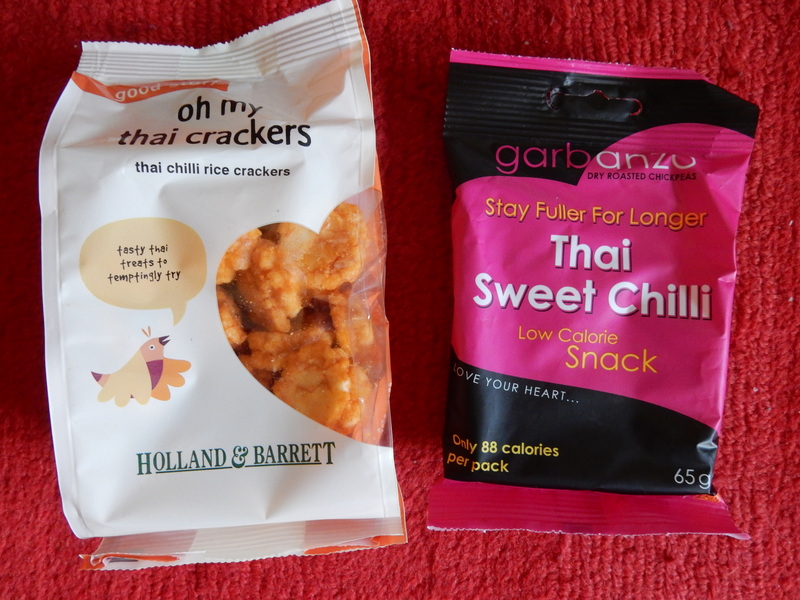 I had mentioned that we like spicy food, such as Thai, and asked her to put in some healthy snacks (I’m desperately trying to get those pounds that have crept back on since we moved to Switzerland!). As you can see, I did take out the postcard so you could see the food. 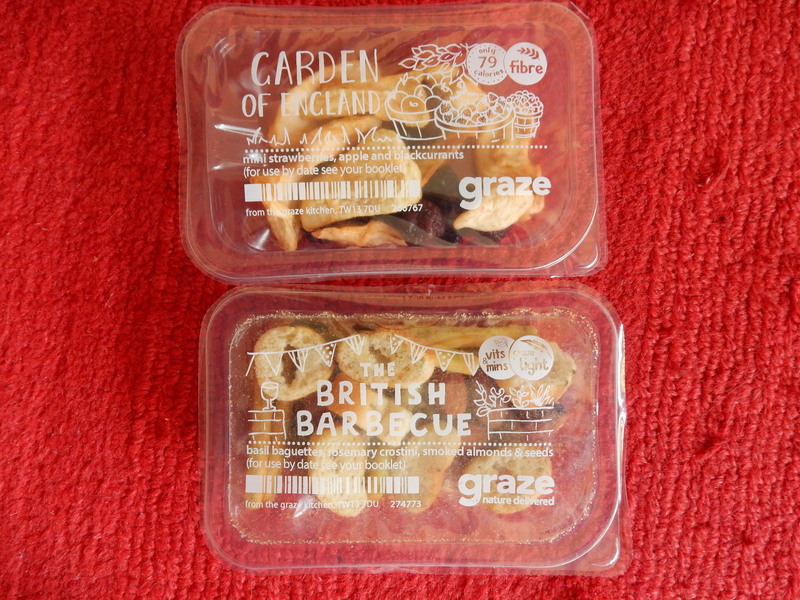 Two more Graze tubs. The one Charlotte sent me last month was delicious, so I was pleased to see these ones in my latest package. 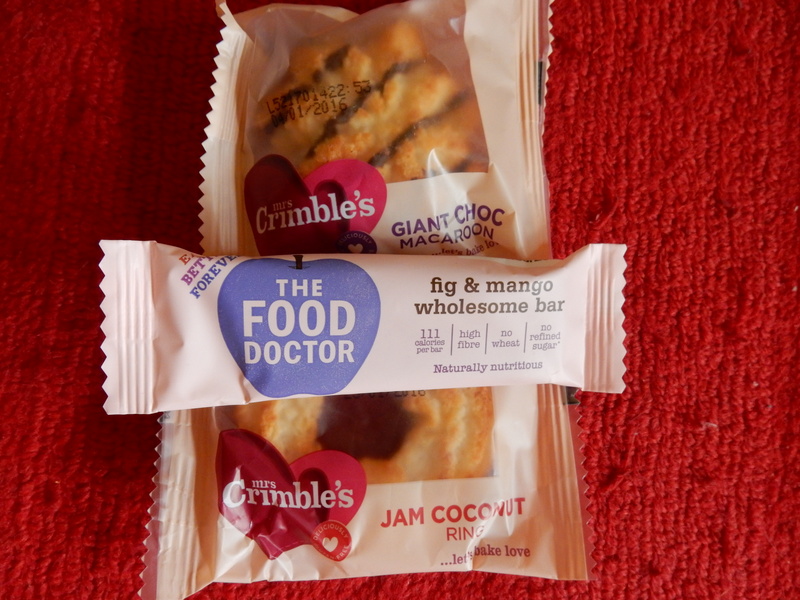 These ones have both been devoured already, and they were both very tasty indeed. Some sweet treats. All were tasty, but the macaroon was my favourite. It’s a good job she only included one because I’m not sure I could have stopped myself eating two in a row (and then feeling sick!). Finally, a drink. 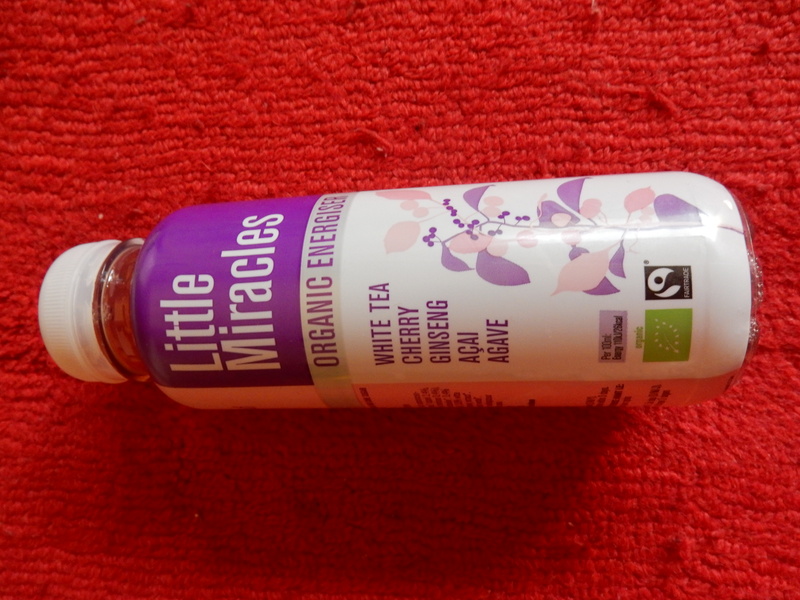 This is actually still sitting in my fridge untried but I will definitely be drinking it soon. It sounds absolutely delicious (and very healthy). Many thanks Abbie Lee for an amazing box! Zürcher Geschnetzeltes sauce – you can probably get that in Germany, but oh well, it’s Swiss at least. Branche chocolate bars (these are delicious!). Basler Läckerli – a kind of gingerbread. A hazelnut biscuit called “bird’s nest”. Swiss herb salt (it’s literally salt mixed with various herbs) and a barley soup from Graubünden (anything with “Bündner” in the name comes from the canton of Graubünden/Grisons). If you want to take part in Foodie Penpals, you can read the rules and sign up here. 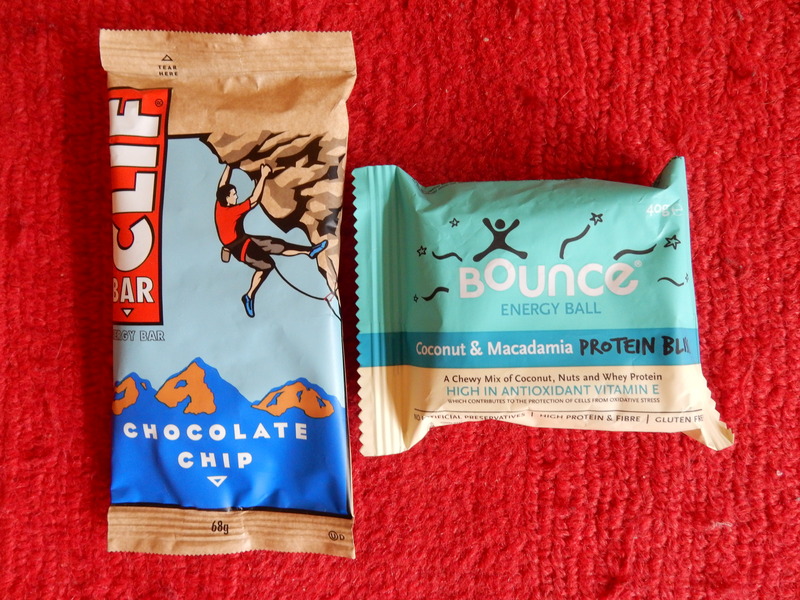 (This is the European version, for those of you in the US/Canada, the original Foodie Penpals on The Lean Green Bean is here.). Matches go out on the 5th of each month, so if you want to take part in November go and sign up right now! The deadline for sending packages is the 20th of the month. It’s a lot of fun and if you do decide to sign up I promise you won’t regret it!